India's grand strategy has evolved significantly since independence more than 70 years ago, but the country has had mixed success in achieving its objectives. The rise of China and a dangerous impasse with Pakistan pose new challenges to New Delhi and are pushing a reluctant India into a closer partnership with the United States. Despite key successes, India's economic problems are huge, and they remain the biggest barrier to rising to great power status. Asia, and more specifically India, has emerged as a critical theater in a new era of great power competition. The contest between a U.S.-led alliance on one side and Russia and China on the other is reshaping India's grand strategy for becoming a world power. The world's second most populous country, which sees itself as one of humankind's great civilization-states, hopes to be secure and prosperous and one day spread its influence into all corners of the world. But recent conflict with China in the disputed Doklam area of Bhutan and with Pakistan in Kashmir has brought New Delhi's choices into sharp focus. And these conflicts are raising questions about the evolution of India's game plan in this fast-changing world. Despite major remaining hurdles on trade and Indian defense purchases from Russia, it’s a step forward for the U.S.-India security relationship. In New Delhi, the “two-plus-two” dialogue was at long last able to complete an agreement to enhance communications sharing on defense platforms—something called the Communications Compatibility and Security Agreement, or COMCASA. It will allow India access to more advanced communications technology for defense equipment purchased from the United States, and as a result will also make it easier for India and the United States, as well as U.S. allies with similar equipment, to coordinate more fully in real time (or, in defense speak, enhance interoperability). It’s been under negotiation for years, so this achievement deserves praise. New Delhi will aim to encourage technology transfers from key defense suppliers in support of indigenous production. India will increase its purchase of U.S. weapons systems for diversification, particularly after signing a key defense agreement with the United States. The leader of the Islamic State Khorasan in Afghanistan, Abu Saad Erhabi, along with 10 of his fighters, was killed in an air strike a few days back in a joint air and ground operation conducted by Afghan forces and US-led coalition forces. His predecessor, Abu Sayed, too was killed in a US strike on the group’s headquarters in Kunar province in July last year. A growing number of attacks in recent years in Afghanistan — including a suicide bombing at a Kabul education centre that killed dozens of people — could be traced to this violent group. The 2015 constitution of Nepal ignited hope in ordinary Nepalis that a new era had finally dawned on the nation. 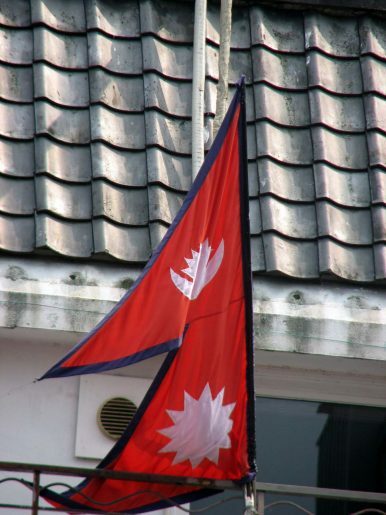 That hope, however, didn’t last long after the rise of Communist Party of Nepal (CNP). Starting last month, not only is Nepal’s civil space shrinking, but the pillars of democracy, like freedom of the press, equality, and liberty, are facing the hammer of new draconian laws. The new National Integrity Policy proposed by the Ministry of Home Affairs (MoHA) is set to tighten the Nepal government’s grip on international governmental organizations (INGOs) and non-governmental organizations (NGOs). The proposed policy was first formulated on June 8, 2017, when Sher Bahadur Deuba was the prime minister. The proposed document has lays out 13 policies for NGOs and 25 for NGOs in a 23-page paper and aims to strictly monitor them. Moreover, its policies expand to diplomats, constitutional bodies, professors, teachers, doctors, private sector firms, and cooperatives. Also, legal and structural bodies will be activated to monitor the aforementioned sectors. China’s Maritime Silk Road projects underway in the last two years emerges as a direct strategic and military challenge to the Indo Pacific Security Template adopted by the United States, India and Japan as it aims to establish a China-dominated maritime grid spanning the maritime global commons of the South China Sea and the Indian Ocean region. Security and stability in the South China Sea and the Indian Ocean Region are essential imperatives for the overall security and stability of the vast Indo Pacific Region spanning the Western Pacific and encompassing the Western Indian Ocean. 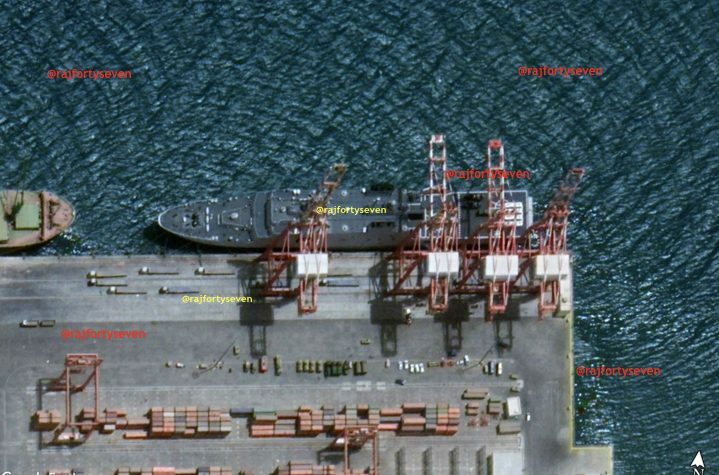 China has already been successful in converting the South China Sea into a regional and global flashpoint and now by its attempts for an intrusive presence in the Indian Ocean is likely to generate similar ‘flashpoint contours’. HOTAN, China — On the edge of a desert in far western China, an imposing building sits behind a fence topped with barbed wire. Large red characters on the facade urge people to learn Chinese, study law and acquire job skills. Guards make clear that visitors are not welcome. Inside, hundreds of ethnic Uighur Muslims spend their days in a high-pressure indoctrination program, where they are forced to listen to lectures, sing hymns praising the Chinese Communist Party and write “self-criticism” essays, according to detainees who have been released. The goal is to remove any devotion to Islam. From laser-dazzling US pilots to the construction of a new navy pier, the country has done a lot at its Djibouti base in Africa over the last year. New Delhi: China’s footprint in Africa is expanding. Yes, it was largely a copycat business economy up until the early 2000s, but Chinese entrepreneurs have really taken charge in the last 10 years. Fueled by the profits from huge consumer demand, they are expanding not only in China but globally. This story is largely ignored in the US and in much of Europe. We hear about a few projects here and there, but we don’t understand the extent. China is on its way to becoming the largest economy in the world, which because of its population, it should be (possibly with the exception of India, if they ever get their act together). Short-term events and arguments sometimes obscure this longer-term reality. China’s transition from rural poverty to export powerhouse to consumer goliath may be the most consequential economic event in centuries. Possibly ever - I can’t think of a historical example to rival it. Historians might argue the British Empire or even the US from 1800 - 2000, but that took centuries. China has done it in a little over 30 years. The drums are already rolling for the upcoming Russian “Vostok” (east) wargames commencing on September 11. With its focal point in the Trans-Baikal region of eastern Siberia adjoining Chinese Manchuria and Mongolia, this is a nationwide Russian military and societal event. Touted by Russian minister of defense Sergei Shoigu as “ unprecedented in scale, both in terms of area of operations and numbers of military command structure, troops, and forces involved,” Russian state press is declaring that up to three hundred thousand troops and one thousand aircraft will be involved, with the majority from the Eastern and Central Military Districts. This would be even larger than the near-legendary Zapad-81 maneuvers held in the western USSR during the depths of the Cold War. In December 2018, Japan will release its new National Defense Program Guidelines (NDPG), a defense policy document which also outlines the procurement plan entitled the Mid-Term Defense Program (MTDP) for the next five years. The current 2014 NDPGstates that the Self-Defense Forces (SDF) should become able to fulfill their roles effectively in the following two new fields of warfare: outer space and cyberspace. 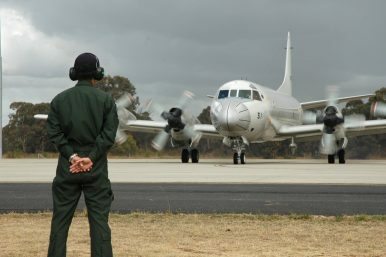 According to a recent media report, the upcoming NDPG will expand and build up the roles of SDF into the field of “electronic warfare.” What does it mean for Japanese security policy and the U.S. strategy toward the Indo-Pacific? Japan’s “going electromagnetic” will enhance the Japanese role in its own defense and also expand the bilateral defense cooperation in the context of the U.S. strategy toward the Indo-Pacific. The People’s Republic of China (hereafter referred to as China) has increasingly intensified its diplomatic squeeze on the Republic of China (Taiwan) since Taiwan’s President Tsai Ing-wen came into office in 2016. In less than three years, five countries — Sao Tome and Principe, Panama, the Dominican Republic, Burkina Faso, and El Salvador — have cut ties with Taiwan and established diplomatic relations with China. Taiwan is left with only 17 diplomatic allies now. Meanwhile, several of its remaining allies, such as eSwatini and the Vatican are also actively improving relations with China. 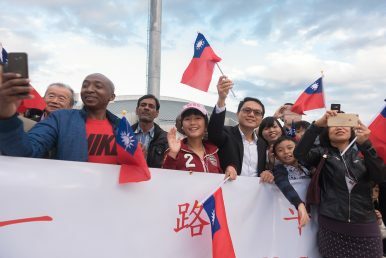 Faced with China’s pressure, Tsai has repeatedly urged the rest of the world to unite with Taiwan in defending against China and to protect shared liberal values. Westerners make much of China’s obsession with “winning without fighting.” As though any sane statesman, Eastern or Western, relishes losing or longs to take up arms with all the dangers, hardships and perverse turnabouts of fortune that come with combat. Winning without fighting is what we call “diplomacy,” and it is a mode of interaction that spans all countries, civilizations and times. Now, Chinese Communist diplomacy does display distinctive characteristics. For one, it’s a 24/7/365 enterprise. Beijing wages “ three warfares ” in peacetime, shaping opinion constantly through legal media, and psychological means. For another, there’s a warlike edge to Chinese diplomacy seldom encountered among the pinstriped set. It is about winning, and it aims to deliver gains normally achieved on the battlefield without so many hazards. HONG KONG: China has launched a new publicity drive to promote the benefits of its Belt and Road Initiative – and the surprise is that a publicity campaign is necessary at all. BRI was unveiled in late 2013 to build infrastructure in Asia, Africa and Europe, strengthening trade linkages via new versions of old land and sea routes between east and west, showing China as a strong global payer, financing viable projects and not projecting strategic power. Soon afterward, the initiative was widely seen as a propaganda masterstroke, providing badly needed investment in roads, railways, power and ports to countries in dire need of such infrastructure while showing China’s commitment to open trade. Chinese money was seen as cheap, available and without some of the strings attached to loans from the likes of the World Bank and the Asian Development Bank. As part of the overall goal, China also sponsored creation of the Asian Infrastructure Investment Bank, gaining support from European countries while the US stood aloof. Spending lavishly to prop up like-minded allies’ hold on power, investing heavily in giveaways at home, and neglecting modernization of the aging oil industry did the trick. Venezuela, possessing some of the world’s largest oil reserves, is bankrupt. This August, Turkey’s economy became the main topic in global news coverage. The reason was a systematic attack on the Turkish economy by the biggest player in the global economic system, the United States. It was one of the most disappointing moments in the history of the alliance between Turkey and America. The administration of U.S. President Donald Trump overtly attacked the economy of a fellow NATO member through sanctions and tariffs. While the scale of the attack resulted in exchange rate fluctuations, the incident ultimately demonstrated the strong fundamentals of the Turkish economy. It also increased Turkey’s determination to strengthen our economy through structural reforms, new trade partnerships, and the attraction of foreign investments and to take steps to rebalance the structure of the international economy so that powerful countries like the United States no longer have the power to unilaterally disrupt the economic life of others. The U.S. has long maintained that freedom of navigation (FON) for warships in foreign 200 nautical mile Exclusive Economic Zones (EEZ) is essentially ‘absolute’. China and some other countries disagree and have placed some restrictions on the activities of foreign warships and aircraft in their EEZ. But the U.S. is undermining its own position by placing restrictions on its own military’s activities –and by extension those of foreign militaries—in its own EEZ. Military activities in the EEZ were a controversial issue during the negotiation of the text of the 1982 UN Convention on the Law of the Sea (UNCLOS) http://www.un.org/depts/los/convention_agreements/convention_overview_convention.htm and continue to be so in state practice. Some coastal states contend that other states cannot carry out military exercises or maneuvers in or over their EEZ without their consent. Indeed, Bangladesh, Brazil, Cape Verde, Pakistan, Malaysia, Myanmar, Uruguay, and most recently, US ally Thailand have declared that such military activities are not permitted in their EEZ without their consent. This is an extreme position that is protested and often tested by the U.S. and other maritime powers. TOKYO — When the Ohno family watched Naomi Osaka beat Serena Williams at the United States Open early Sunday morning from Tokyo, there was no question in their minds that Ms. Osaka was a true Japanese champion. “Her face looks Japanese,” said Ryutaro Ohno, 14, shortly after playing a few tennis matches with his younger brother and parents at a court near the base of Tokyo Tower. His mother, Naoko, 49, showed a snapshot on her cellphone of her sons posing with Ms. Osaka, the daughter of a Haitian-American father and Japanese mother, when the tennis star played in the Pan Pacific Open in the Japanese capital last year. The Department of Defense’s cyber community has found an unexpected proving ground to cut its teeth on operations: the Middle East. 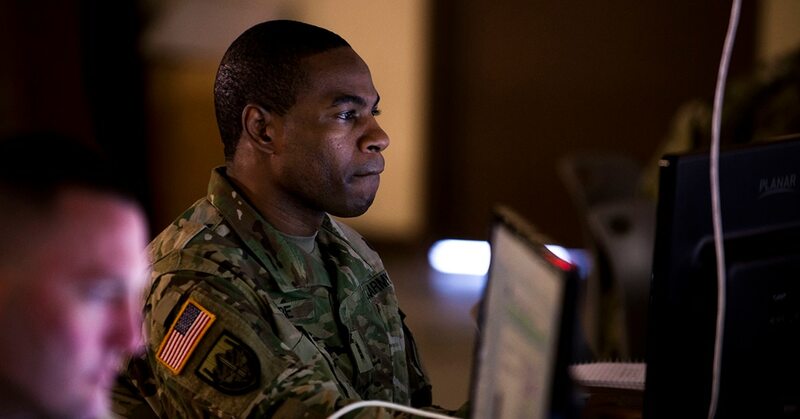 Lt. Gen. Stephen Fogarty, speaking to Fifth Domain Aug. 21 in an interview at TechNet Augusta, said cyber operators in the Middle East have worked “at a higher tempo than other commands" and in the process have developed “proficiencies." Cyber operations globally have ramped up in recent years. Fogarty, the head of Army Cyber Command, told reporters at a media roundtable in early August that the force has operated in the last 24 months at a level that far surpasses previous efforts, offensively and defensively. This week’s British Airways security breach, which resulted in the theft of the bank details of 380,000 customers, is only the latest example of cyber warfare, where online systems and networks are targeted for commercial, political or military gain. Despite increased government attention and private-sector focus, such online attacks are increasing in every dimension. No longer confined to the traditional major threats of Russia, China, North Korea and Iran, world-class cyber threat groups have mushroomed around the world. The degree of damage has increased too, possibly topping $100 billion in costs to the US economy alone in 2016, according to White House estimates. This article defines information warfare and influence operations as the deliberate use of information by one party on an adversary population to confuse, mislead and ultimately influence the actions that the targeted population makes. Information warfare and influence operations are hostile activity, or at least an activity that is conducted between two parties whose interests are not well-aligned. At the same time, information warfare and influence operations do not constitute warfare in the Clausewitzian sense (nor in any sense recognized under the U.N. Charter or the laws of war); this accounts for use of the term “influence.” Information warfare and influence operations have connotations of soft power: propaganda, persuasion, cultural and social forces, confusion and deception. If the patron saint of traditional warfare is Clausewitz, Sun Tzu, who wrote that “The supreme art of war is to subdue the enemy without fighting,” is the comparable figure of importance to information warfare and influence operations. By definition, information warfare and influence operations take place without kinetic violence, and they are necessarily below any threshold of armed conflict.